A report said there were no additional resources to pay for new care packages. VULNERABLE people needing social care packages in Edinburgh can only get them if support is withdrawn or cut for someone else, councillors have been warned. Officials have warned that a failure to find promised savings in health and social care has left a lack of resource for providing care at home. The city’s Conservatives said this meant that someone probably had to die or move in order for new people to receive care packages and warned the city could be failing in its statutory obligations. A budget update report has revealed the failure to find the health and social care savings was contributing to a projected city council overspend of £7.7 million. The report noted the 2018/19 budget did not assume any increase in the volume of social care beyond that in 2017/18. 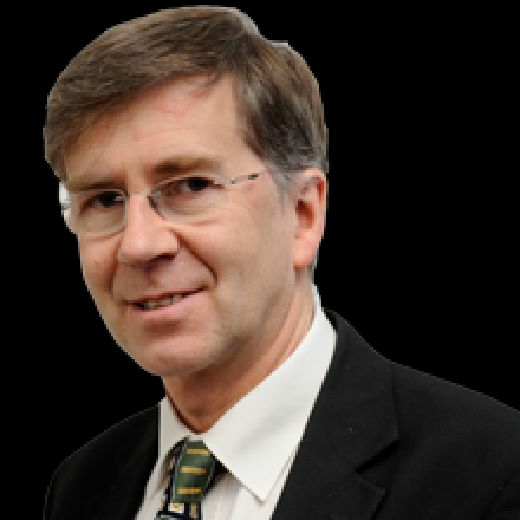 Cllr Iain Whyte, Conservative leader on the city council, said: “With a 7 per cent growth in clients, those clients are not going to get support until someone else’s support is reduced or they no longer need the service, which probably means they have moved to another local authority or they have died. “My concern is the council may not be meeting its statutory obligation to some of its most vulnerable residents. “They are not able to add anybody who comes along with recognised care needs. The council insisted, however, that people identified as having “substantial need” would be prioritised for social care. And it claimed while the report referred to a lack of additional financial resources it did not mean those assessed as needing substantial care would be unsupported. As of March this year there were 1562 people waiting in the community for an initial assessment of their needs and 964 who had been assessed, but were waiting for services. Councillors agreed savings totalling £36.5m across all departments when they set the 2018/19 budget in February, but more than £11.3m of those have now been “red-flagged”, meaning they are at risk of not being achieved. Directors have been ordered to accelerate the agreed reductions or find alternative ways of saving the money. Health and social care accounts for the biggest slice of endangered savings at £6.1m. The report revealed a programme of reassessing existing care packages, intended to save £3m, was running dramatically behind schedule, with only 100 of the planned 1600 reviews carried out so far. Cllr Whyte criticised the budgeting process and the performance of health and social care. He said: “Some extra money has gone in, but there is no significant increase this year to cover for the fact we have an ageing population and more people needing care. In other areas, the report said the so-called “garden tax” – expected to bring in £1.3m – would now save £600,000 less than budgeted because introduction of the new £25-a-year charge for garden waste collections had been postponed from July to October. Another £400,000 of savings expected from spending cuts on home-to-school transport “will not be delivered” due to an increase in demand. Other planned savings that may not materialise include £350,000 from advertising on roundabouts and verges, which is said to be dependent on further negotiation; £600,000 from economic development; £350,000 from public transport initiatives; £200,000 from re-procurement of the vehicle fleet; and £2.877m from a review of council property. The report said total spending was projected to be £15.2m more than had been approved, but £7.5m that had been found through other savings or additional income brought the projected overspend down to £7.7m. And he said his party had warned against expecting too much from the garden waste collection charge. “Green councillors voted against the change because we were sceptical about the levels of savings promised, especially when set against the cost of dealing with all of the negative impacts like fly-tipping and use of landfill bins,” he said. Audits of the plan to merge health and social care in Edinburgh have flagged up red alerts including budget overspends, overpriced care, and a lack of district nurses putting safety at risk. Internal documents have identified a series of challenges faced by the project in the capital, which have led to calls for more to be done to create the “cultural shift” to sort out the “crisis” in social care. The final report of a City of Edinburgh Council internal audit into the health and social care partnership found several aspects of the project had high or red ratings, a category that suggests there could be a “significant” impact on the financing, operation or reputation of the project. The points raised included overpayment for services provided, the potential risk of fraud, inaccurate payments, overpriced care packages and financial decisions made without approved authority levels. Also flagged up with a red rating were points relating to “self-directed support” – a Scottish Government initiative to offer the elderly a range of options when it comes to how they receive their health and social care. The audit said there was no funding allocation model established within the health and social care partnership to ensure care package budgets were based on an on-going assessment of the people in need of care. There was “no evidence” to confirm that the self-directed support options had been fully discussed with those receiving care or that they were given the chance to choose from the options. The document noted that the forecast overspend on the partnership’s home care purchasing budget was £12 million last year. It had been addressed by obtaining £4.2m from the social care fund and a one-off £7m contribution from the council. It noted that additional cash did not address the “underlying root causes” of the overspend, adding that the Edinburgh IJB had not achieved social care delivery in line with budgets since 2014/15. This was partly down to a lack of strategic action to offset increased demand for care at home and an inability to deliver approved and agreed budget savings. Meanwhile, an internal audit of Edinburgh Integration Joint Board (EIJB) by the Audit and Risk Committee also identified a series of risks including “a risk the high vacancy levels within district nurses will impact on delivery of care”. A lack of capacity in the community will reduce EIJB’s ability to reduce hospital delays, it said. There is a risk that “lack of capacity and poor systems” in the community are impacting on getting access to care on time. Current levels of GP capacity were described as “unsustainable” and will fall further having “negative consequences for care”. It also warned that “reputational damage” would result from missed performance targets. The Evening News launched the Care in Crisis campaign in May 2017 amid growing evidence of the extent of the failings in the Capital’s social care system. Care services are under huge pressure across the UK as they struggle to meet the increasing support needs of an ageing population amid funding pressures and difficulties attracting and retaining staff. The problems in Edinburgh, however, have been among the worst in the country. last year that elderly people in the Capital had to be in “critical” need before receiving the support they need. Care inspectors found the frail and elderly had to wait 100 days on average even to have their needs assessed and “stretched” staff struggled to understand the range of services on offer. Delivery of “key processes” was “unsatisfactory” – the worst possible rating. In four other areas, The city’s health and social care partnership, which brings together services provided by the NHS and city council, was instructed to improve services in four other areas judged “weak”. This newspaper has pledged to continue highlight the problems and to provide informed opinion on potential solutions until the Capital’s care crisis is resolved.